Can I put a video into my campaign? How many videos can I put? 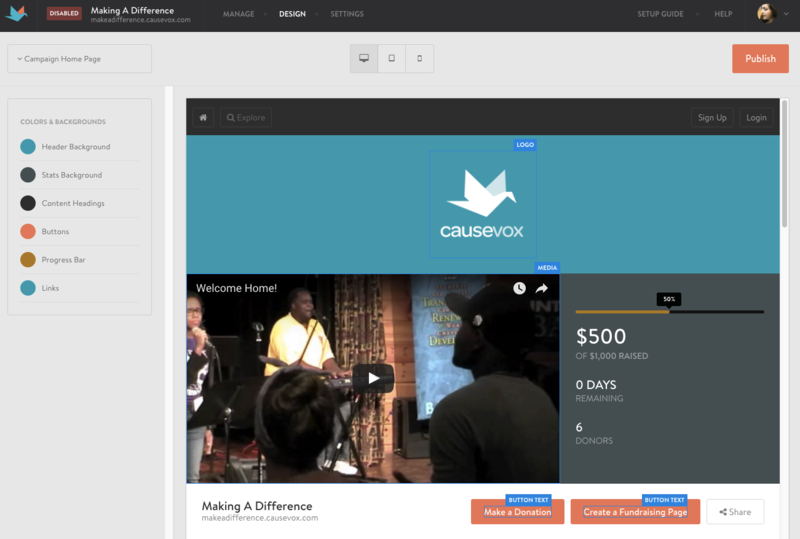 You can upload a video on any content area on your CauseVox campaign home page or personal fundraising page. While there can only be one primary video, you're able to embed multiple videos in your about section or in your blog. The Main Media Area is a special area on the Campaign Home Page for media embeds. You can paste a direct link to a Vimeo or Youtube video in your Main Media Area. 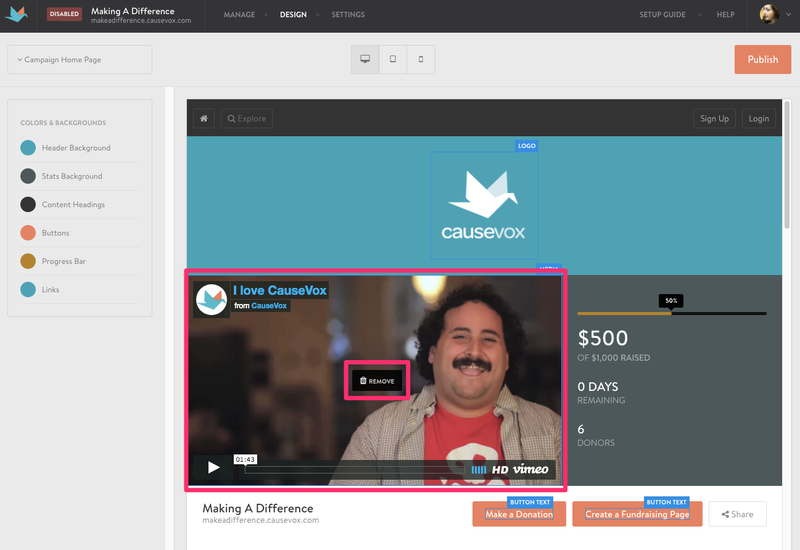 Just follow the steps below to embed a video in the Main Media Area on your fundraising site. 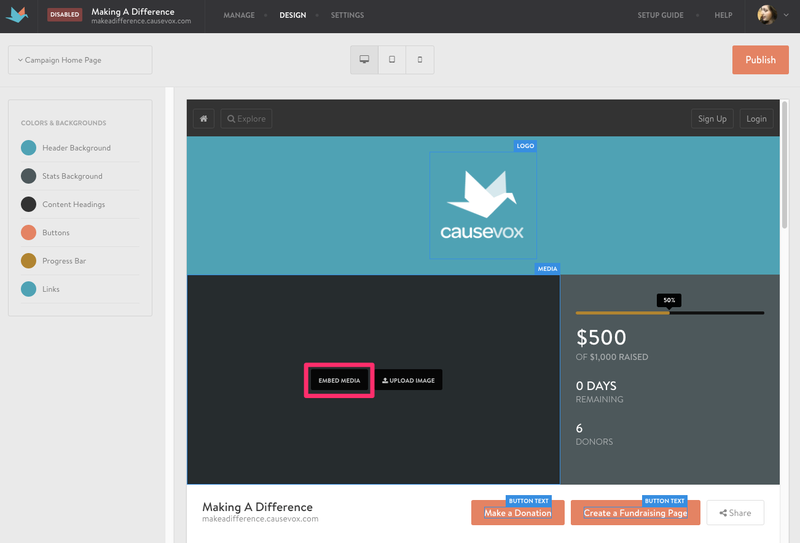 Step 2: Click on your fundraising site and launch the editor. Step 3: Click "remove" in the media content area. Step 4: Select "Embed Media" if you're embedding a video or slideshow. Select "Upload Image" If you're looking to just upload a photo. Step 5: Paste the direct URL link (not the embed code) to the media. You can also upload a single photo from your computer. This will be automatically saved. Note: Please use the full URL of the media. Do not use shorteners like "youtu.be". Step 6: Review and publish to update the media on your campaign site. Note: These steps are only for media embedding in the Media Area. For non-Media Area embeds, please see our full article on "Embedding Media On Your Campaign Site." Was this article helpful? Rate it below!